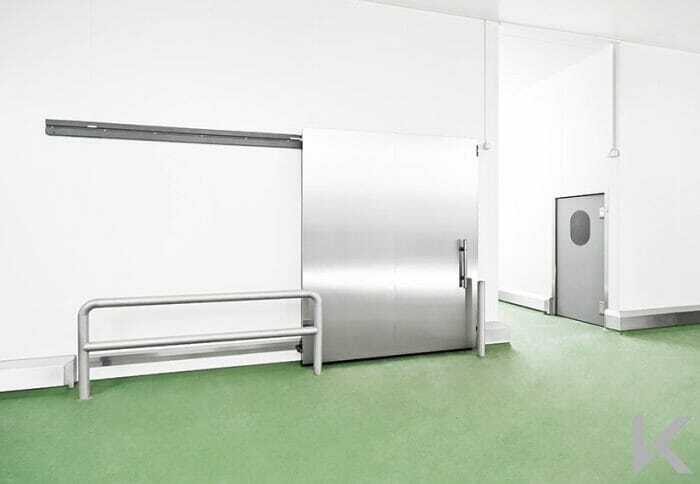 Thermashield SL insulated sliding doors are specially designed for cold rooms and freezer rooms to help minimise energy costs. The range offers optimum performance in terms of: insulation; durability; and ease of use with purpose-built frames, tracks and ironmongery. The doors help maintain excellent safety levels by reducing ice build-up around doorways and on the floor. Both manual and powered models and a wide selection of ironmongery options are available so these doors can be suited to any application. Finishes include stainless steel, laminated and various colour coatings. The doors have full perimeter seals to ensure leakage is minimised and are also available with heated thresholds for freezer room applications. A choice of tracks is available which include a unique system where the hard-wearing HDPE track doubles up as the door frame. Other track options include enclosed stainless steel hygienic systems and options to facilitate crane hoists and conveyor systems. The door leaves are constructed from rigid steel panels filled with high-density PU foam (CFC-free) for maximum energy-saving capability. The doors have frames which can be constructed from extruded thermoplastic, PU foam-filled (CFC-free) steel or stainless steel to suit the wall construction and maximise the doors suitability for the environment. This is a very popular sliding door range with both manual and powered options. 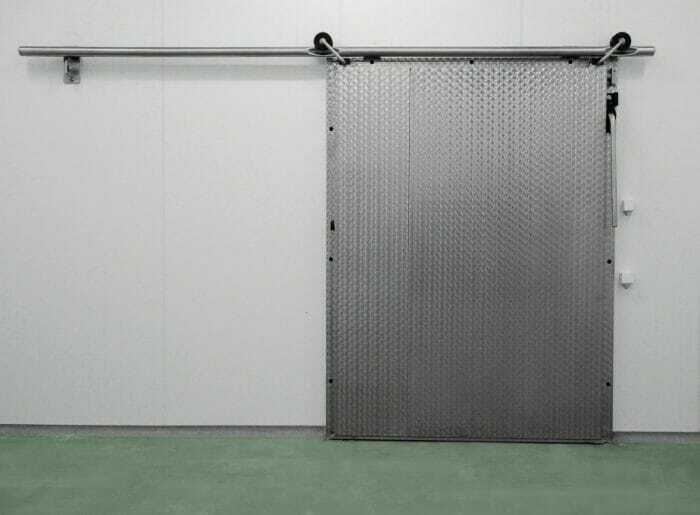 The doors have a rolled stainless track section which provides an attractive finish and protects the running track and drive components. 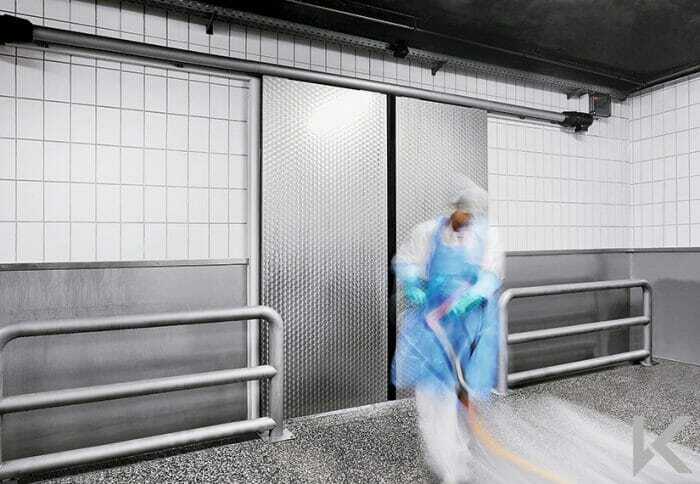 This type of door provides a very hygienic and aesthetically pleasing finish. 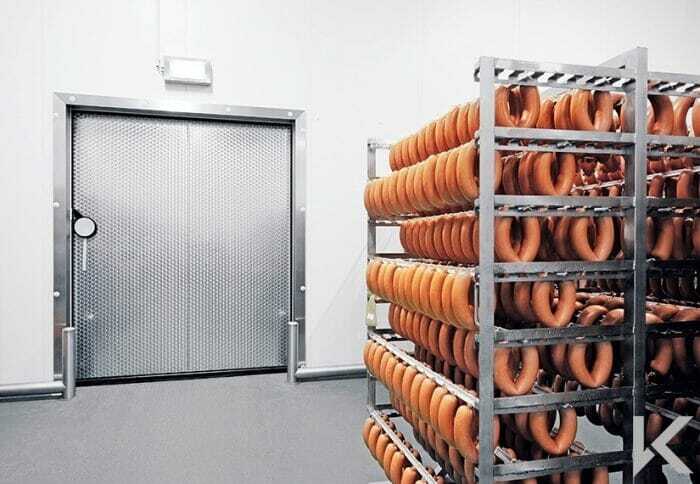 Doors are available with 40mm; 80mm; or 120mm door leaves to suit utility, chill and freezer rooms at a temperature range down to -28Â°C. The door drives have an IP 65 rating and safety is provided by a light grid system. 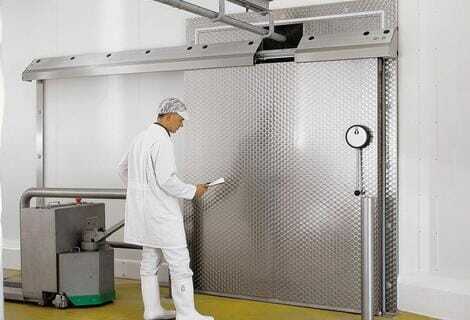 The doors are optionally available with a high-speed drive to provide opening speeds of up to 1600mm per second. The doors are available in both single and bi-parting configurations. 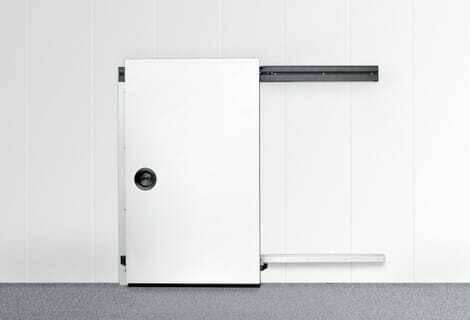 This is an economical sliding door range with both manual and powered options. The doors have a composite track section which doubles as the door frame head. This type of door provides a very hygienic and aesthetically pleasing finish. 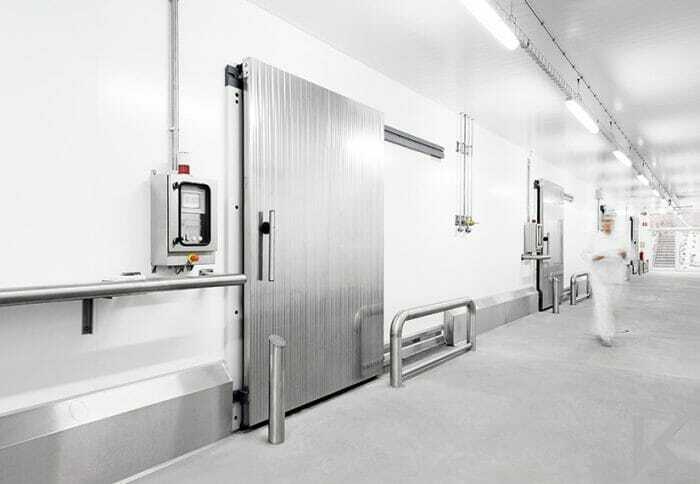 Doors are available with 80mm or 120mm door leaves to suit utility, chill and freezer rooms at a temperature range down to -28Â°C. The door drives have an IP 65 rating and safety is provided by a light grid system. The doors are available in both single and bi-parting configurations. 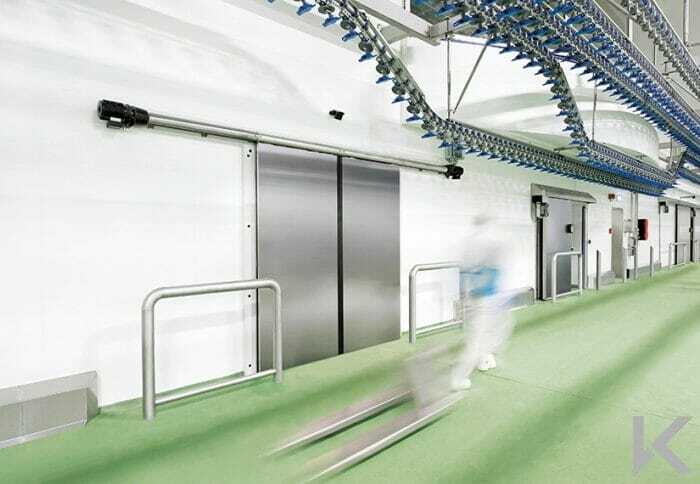 The specialist Thermashield SL Ulti-Flex door is a specialist high speed sliding freezer door which opens at a rate of 2 metres per second. 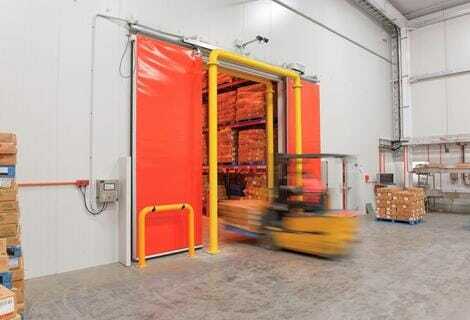 This helps to dramatically reduce temperature loss and ice build-up for high usage doorways in freezer stores. 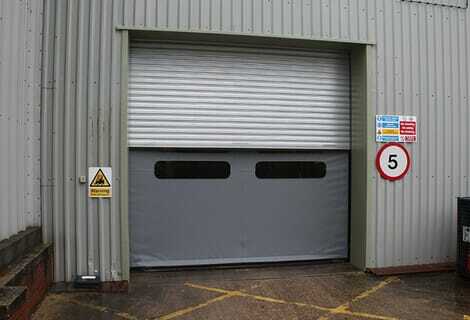 The doors also have a flexible and impact-resistant panel which reduces the ongoing cost of maintenance and repair. 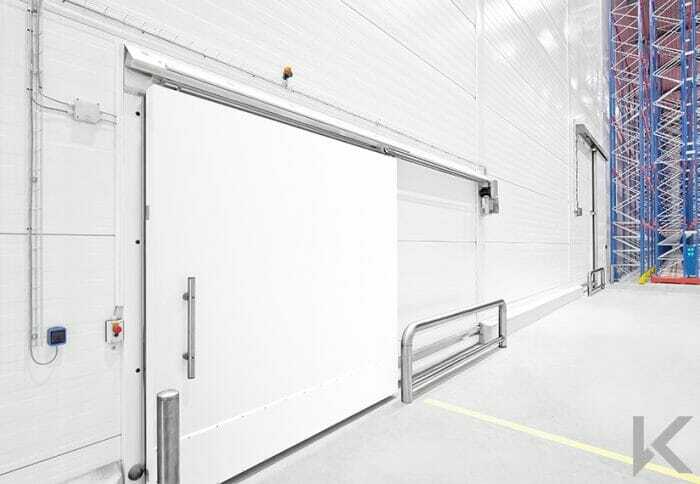 This is a highly specialist sliding door range with both manual and powered options and a high-efficiency two-dimensional suppression system. 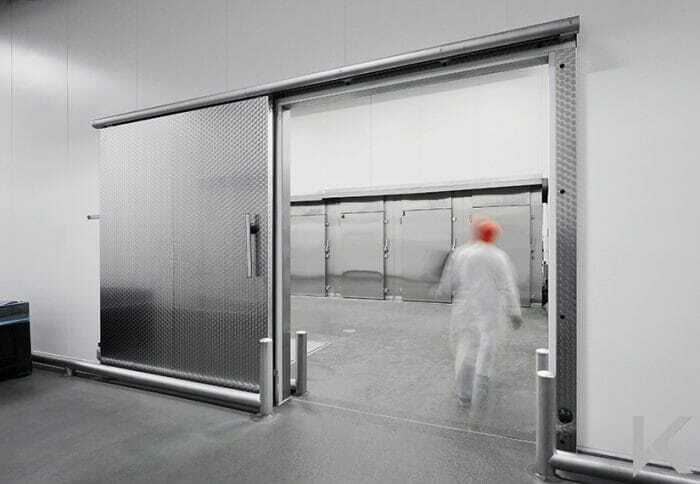 The doors have a covered aluminium track section which provides an attractive finish and protects the running track and drive components. 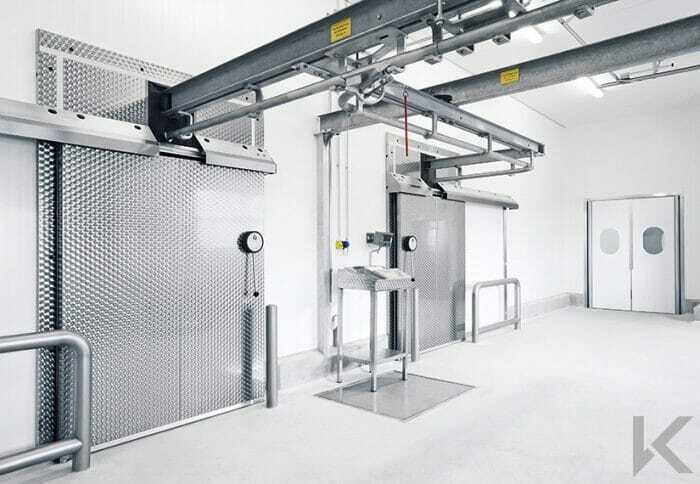 Doors are avilable with 80mm; 120mm; or 160mm door leaves to suit chill, freezer and shock freezer rooms as well as inside freezer rooms at a temperature range down to -40Â°C. The door drives have an IP 65 rating and safety is provided by a light grid system. 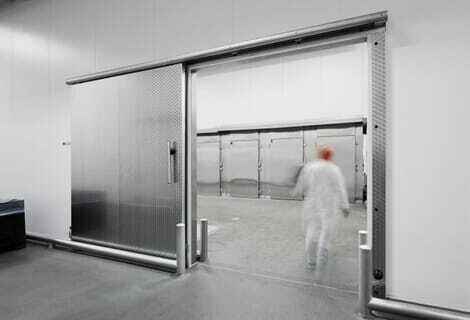 The doors are optionally available with a high-speed drive to provide opening speeds of up to 1600mm per second. The doors are available in both single and bi-parting configurations. 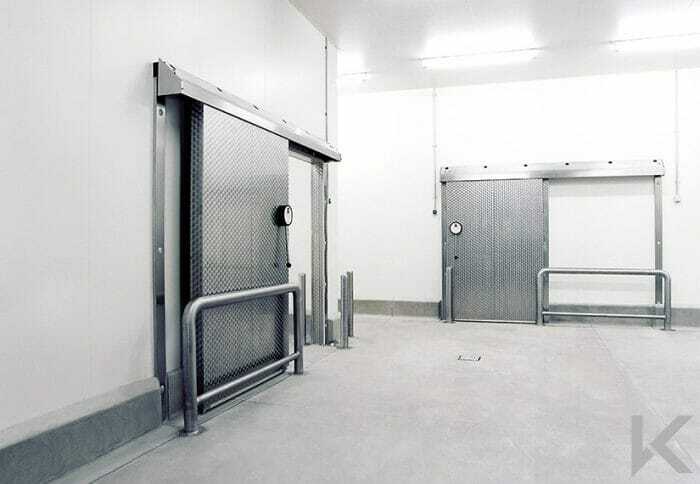 SCE doors are ideal for high-usage and specialist applications for example where meat rail passages or return conveyors are required or in shock-freezer areas.